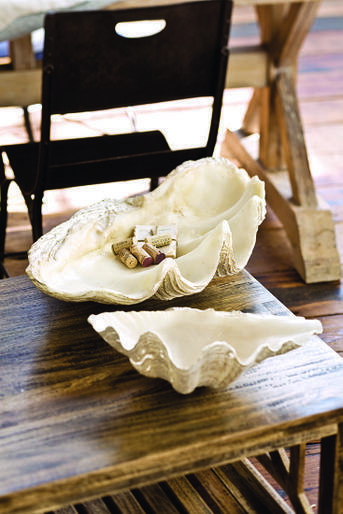 You might think I am crazy, but I have been collecting "faux" clam shell ideas for months! I just think that this one piece of coastal home decor is simply an essential for a beach house. 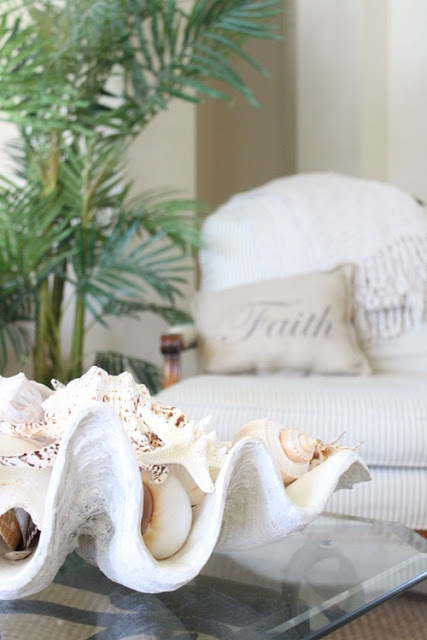 These large clam shells are really popular items that we sell on our website, so I thought that we would share some of the decorating inspiration that I've collected from around the web! 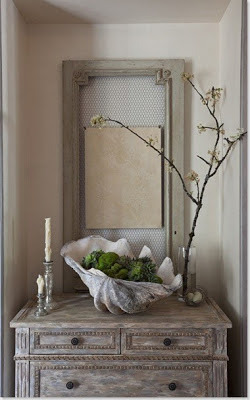 from Cote De Texas, a fabulous design blog that you really must see! 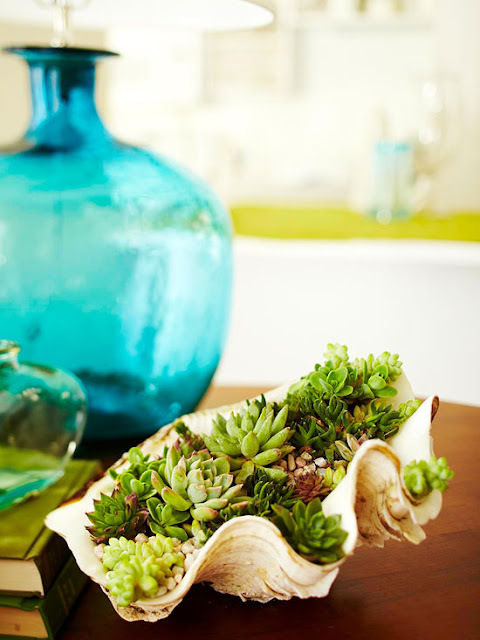 Add a little green with succulents; my kind of plants - I might actually be able to keep these alive! 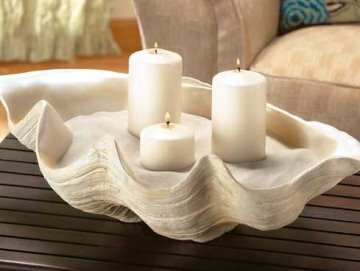 Can just imagine one of these beautiful clam shells filled with Christmas ornaments and Holiday greenery - will have to try this year and show you all. 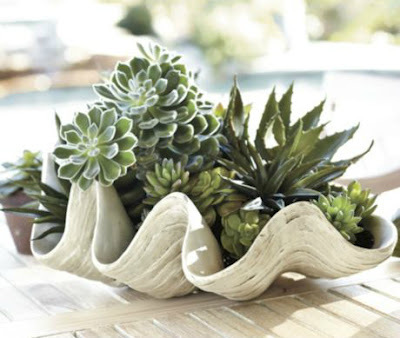 Or just fill with pretty sand, grab a few pillars and voila' you have an elegant centerpiece! 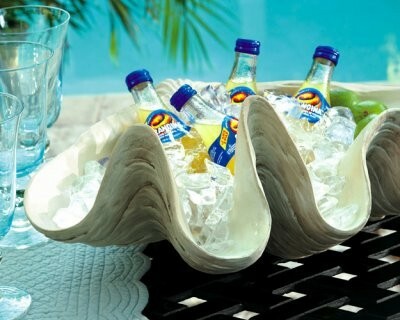 And then there's always the party idea! Would so love to see your ideas! Do you have any that you would like to share? 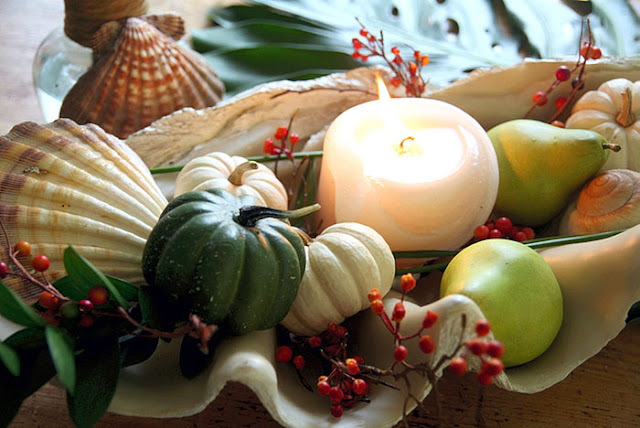 Will be happy to share on our blog for our readers. 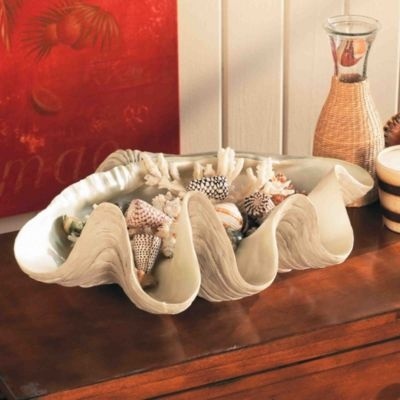 Look in their seashell collection...I have the large bear claw dish (you have to see the underside of the dish! 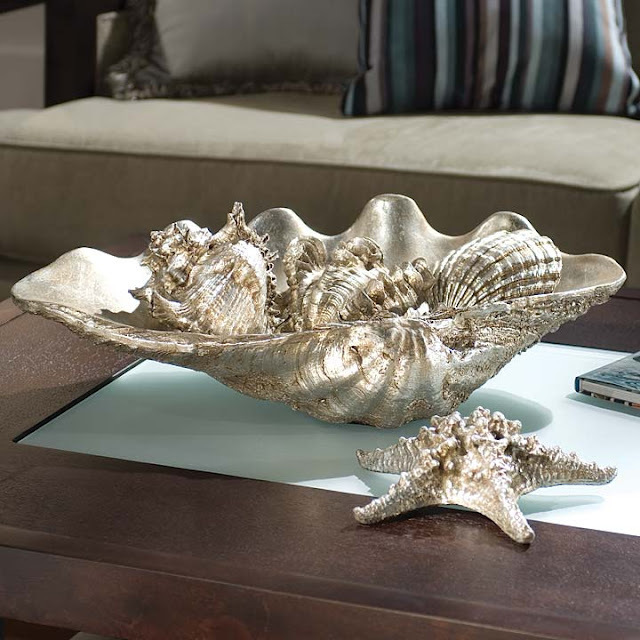 It has barnacles and everything!). 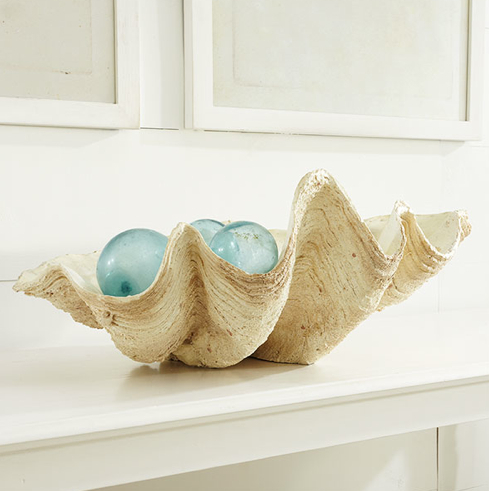 Enjoy...luuuuuved the sea glass floats in the clamshell too!